The Insurance Institute for Business & Home Safety (IBHS) is helping to dispel five common myths about fire sprinklers, and highlighting the benefits of home sprinklers to kickoff Fire Safety and Awareness Week (May 6-12), which is part of National Building Safety Month in May. 1. When one sprinkler goes off, all the sprinklers activate. The sprinkler heads react to temperatures in each room individually, allowing only the sprinkler closest to the fire to activate. In fact, 90 percent of fires are contained by the operation of just one sprinkler. 2. A sprinkler could accidentally go off, causing severe water damage to a home. Records show that the likelihood of this occurring is very remote. In addition, residential fire sprinklers are designed and tested to minimize such accidents. 3. Water damage from a sprinkler system will be more extensive than fire damage. The sprinkler system will limit a fire’s growth. Therefore, damage from a residential sprinkler system will be much less severe than the smoke and fire damage if the fire had continued unabated, or the water damage caused by firefighting hose lines. 4. Home sprinkler systems are expensive. The cost of installing home fire sprinklers averages $1.61 per square foot for new construction, according to the Home Fire Sprinkler Cost Assessment report produced by the Fire Protection Research Foundation. To put the cost of a sprinkler system into perspective, that is roughly the same amount people pay for carpet upgrades, a paver stone driveway or a whirlpool bath – none of which save lives. 5. Requiring residential fire sprinklers will inhibit new home construction. A 2009 study conducted on behalf of the National Fire Protection Association (NFPA) compared residential home construction in four counties in Maryland and Virginia – two with sprinkler mandates and two without. The study concluded the presence of sprinkler mandates did not have a negative effect on the number of homes being built. A residential fire occurs every 87 seconds, according to the U.S. Fire Administration (USFA), with half of all home fire deaths occurring between 11:00 p.m. and 7:00 a.m., according to the NFPA. 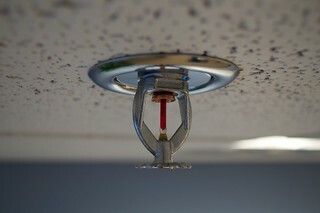 Residential fire sprinklers can contain a fire and may even extinguish it before firefighters arrive, according to the Home Fire Sprinkler Coalition. This provides valuable extra time to get everyone out of the house. Sprinklers reduce civilian fire deaths by an estimated 83 percent; reduce direct property damage by more than two-thirds per fire; and are responsible for an estimated 65 percent reduction in firefighter injuries, according to the NFPA. The District of Columbia adopted a fire sprinkler installation building code requirement for all residences built after Jan.1, 2011. The result – fire deaths declined in the District from 33.4 in 2009 to 8 in 2011 and 2012 combined. In Maryland, State Fire Marshal Steven Barnard cited the state’s fire sprinkler requirement in newly built, multi-family dwellings as a significant factor in the 22 percent drop in fire-related deaths in the state in 2012.